This 14 night cruise includes flamboyant Saville and historic Cartagena. Enjoy UNESCO World Heritage sites in Gibraltar and the romance of Rome. Step inside the Radisson Blu Edwardian Berkshire Hotel’s peaceful environment with sleek dark wood panelling, contemporary artwork and find all the comfort of a modern four star deluxe hotel. The property is centrally located within easy walking distance of the Capital’s most popular retail destinations – Oxford Street, Regent Street and more. 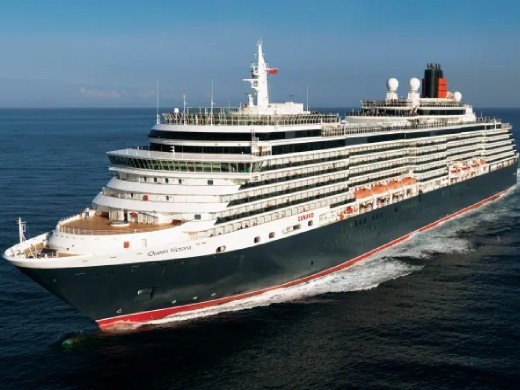 Queen Victoria, also known as QV, is a true Cunarder — with all the regal, breathtaking splendour you would imagine from a luxury Cunard ocean liner, combined with an airy, contemporary ambience. As you embark, you'll encounter the dramatic three-tier Grand Lobby, whose magnificent staircase and eye-catching artwork offers an exceptional taste of life aboard this ship. Relish the contemporary sophistication and timeless elegance of her magnificent venues such as the soaring Grand Lobby, where you will feel as if you’ve stepped back to a more sophisticated era. Or the spectacular Royal Court Theatre featuring the first-at-sea private boxes bringing you unobstructed views of entertaining productions. From the sparkling Mediterranean to the pristine waters in Northern Europe, her voyages will immerse you in the best of European cultures and destinations. Be a part of her maiden season in Europe as she carries on the Cunard® legacy in the grandest style imaginable.